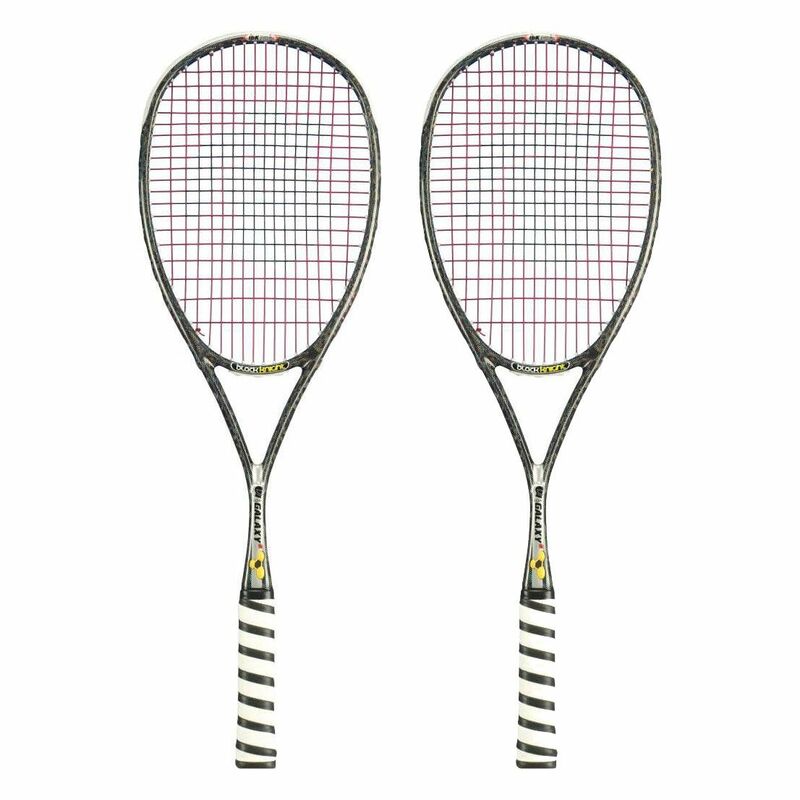 The Black Knight Ion Galaxy squash racket double pack consists of two rackets offering the BK Thermal Core technology which results in enhanced durability and faster racket recovery during impact. 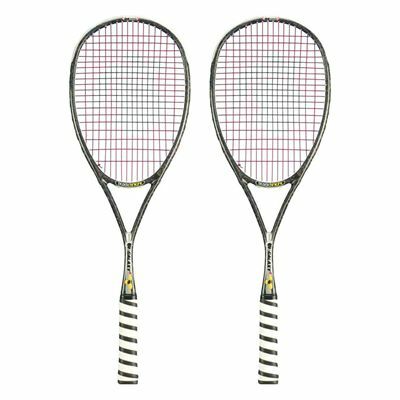 The rackets incorporate the Nano-Crystalline Technology (NCT) to deliver a larger sweet spot and great control for hard hitters such as David Palmer. They have a head size of 77.5in2 (500cm2) and feature an open string pattern (16 x 19) for more spin and an amazing feel. The 16K Hyper Tensile Fibre (HTF) provides more structural strength and durability, while the Power of 6 guarantees optimum performance. The Ion Galaxy rackets weigh 135g (4.7oz) and are strung with the PowerNick 18 string. In addition, they are head light balanced for extra manoeuvrability. for submitting product review about Black Knight Ion Galaxy Squash Racket Double Pack.